Author: Morganelli, Adrianna Set In . . . Description: This book is suitable for ages 8-14. 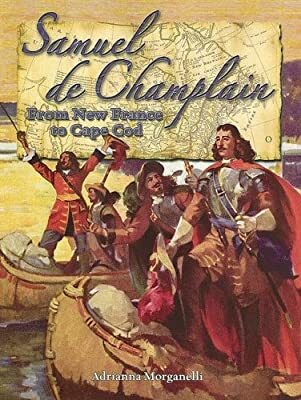 Brave the stormy seas of the Atlantic Ocean to join Samuel de Champlain's expedition to North America in the early 1600s. This exciting new book follows the footsteps of the Father of New France in his mission to colonise what would later become Quebec. Colourful illustrations and maps follow his trek from Cape Breton to Cape Cod and the lake that now bears his name. A recipe from the period is also included. The topics include: what the Renaissance period meant to France and exploration; Champlain's early life; life at Ste. Croix, Port Royal, and the Quebec Habitation; what life was like for sailors at sea; the Order of Good Cheer; the traditions and customs of the Iroquois, Algonquin, and Huron Indians; Champlain's involvement in the battle among the Native Indians.